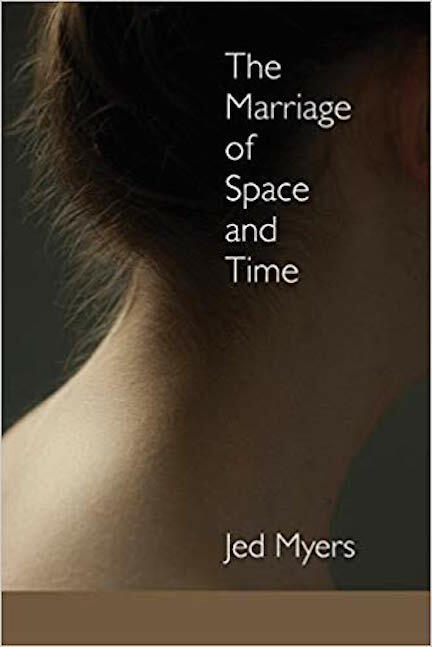 The Marriage of Space and Time is more often than not local in its concerns, even intimate. Such is the nature of this particular marriage, in which we all live. And die. This ongoing here and now. Also then. “Our sorrows meet in one shadow,” he writes; later on, he concludes, “I'm old. I'm coming to life.” Myers aims to see as closely and accurately as he can, and in his seeing, he gives his readers a way to see as well, and thus to be genuinely alive, in our own time and space, for as long as we have it. These poems find the strange and beautiful in everyday moments: visiting a deli, flying on a plane, sitting on the back steps, noticing a stray cottonwood tuft, recalling a walk with a child now grown. In this poet's gaze, each element of the quotidian becomes particular, luminous, and finally, universal. This effect comes from fresh and powerful imagery; from surprising diction, uniquely-apt words used in new ways, as in “each of us / hung out to die, a wish out of water.” The poems move with a freedom born of familiarity with meter and rhyme, and the lines reverberate with subtle music.